Rattan is back with a vengeance. 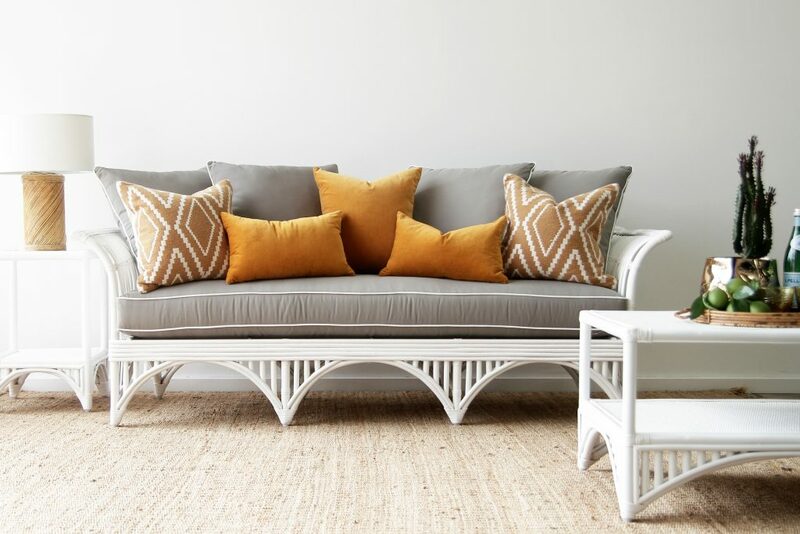 Now that tropical interiors are making its rounds in home decor, it’s official: rattan is cool again. Once commonly associated with your grandma or only with outdoor furnishings, the natural material delivers laidback, resort charm in spades. With everyone from IKEA to luxe furniture brands on board the rattan train, it’s safe to say it’s back and bolder than ever. Quietly, rattan has remarkably stood the test of time. Its history goes way back; the Pharaohs of ancient Egypt were buried with wicker furniture. Even the Roman empire were big on rattan furnishings too. 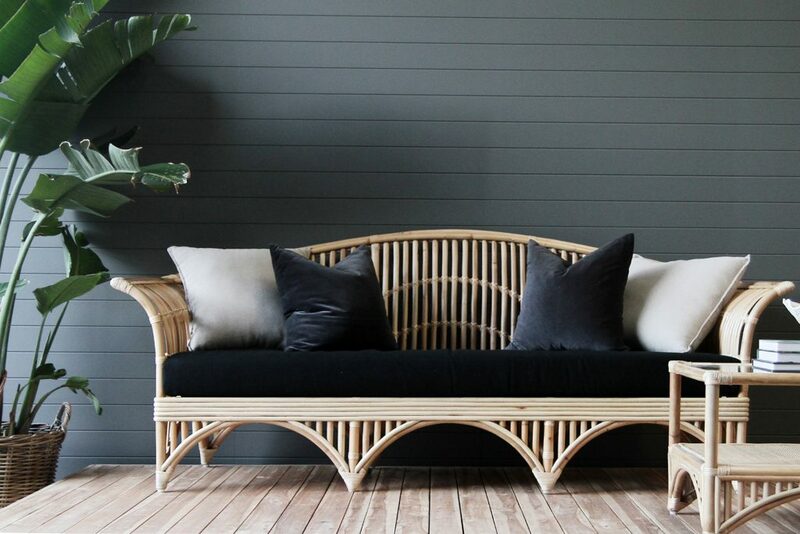 In Asia, raw rattan largely came from Indonesia and were shaped into furniture by craftsmen in China; due to its proximity to both, Singapore was said to be Southeast Asia’s biggest exporter for rattan furniture. Eventually, the booming trade and colonists in Asia brought rattan to America and Europe. Its popularity may have briefly waned, but like the seventies, you’re now seeing it everywhere again . Want to come home to a lush, tropical retreat? 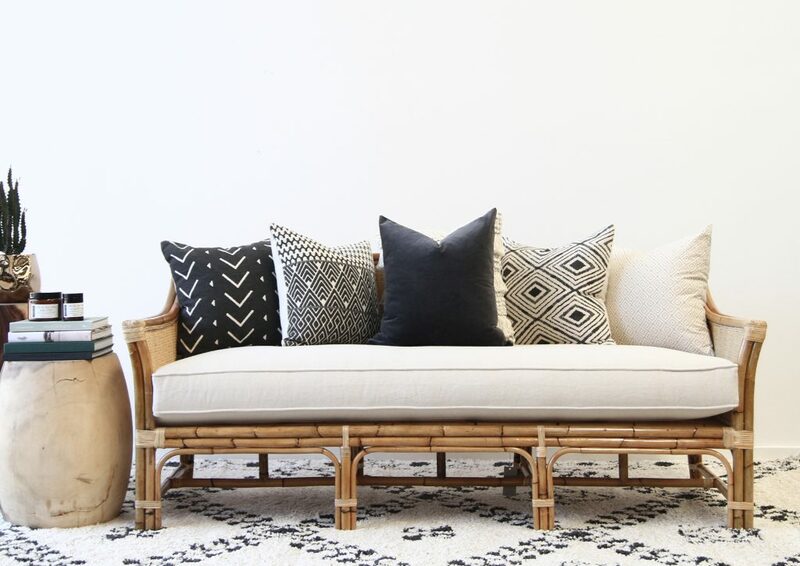 Fill your abode with plants, global accents and natural materials like bamboo, and of course rattan. With its current, modern designs, you’d have no problem fitting rattan in your home regardless of your home design. Art And Sofa To Uplift Your Home. How can art and sofa fit into your home? Can art and sofa make your home look more stylish and expensive? Talk to us if you want a custom made art or sofa. 5 Ways to Use Slipper Chairs This classic chair can work in any room. We show you how! How about a slipcover for your sofa? These armless, streamlined chairs are the chameleons of the décor world—they can be country or industrial, modern or traditional, simple or bold. 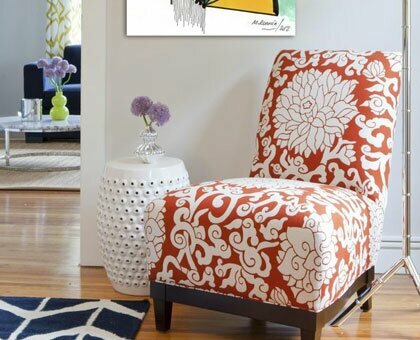 While the general streamlined and armless shape stays the same, ornate details (tufting, turned legs, fabric) can give the chair personality.In this slideshow, we share how slipper chairs can work in five rooms of your home, from the bathroom to the dining room. Choose a slipper chair with tufting to lend a touch of sophistication to any room. With a petite scale and lack of arms, slipper chairs are a perfect match for dining rooms (especially small ones). They’re also handy to set aside, either in a corner or beside a buffet, for use as extra seating when company arrives. For an eclectic look, place one at each end of the table and use your existing chairs on either side. See our ideas for How to Mix and Match Dining Chairs for more inspiration! Slipcovered chairs are ideal for the dining room. They lend a casual vibe, plus they’re​easy to clean! An upholstered chair can infuse much-needed warmth into a bathroom, which can feel cold with tile, stone, mirrored, and metal surfaces dominating the space. Bring a touch of spa-like luxury to the room with an upholstered or slipcovered slipper chair. Opt for a slimmer chair if you’re using it instead of a vanity stool so it’s easy to pull in and out. If you have more room, choose a plush option to set next to the tub. 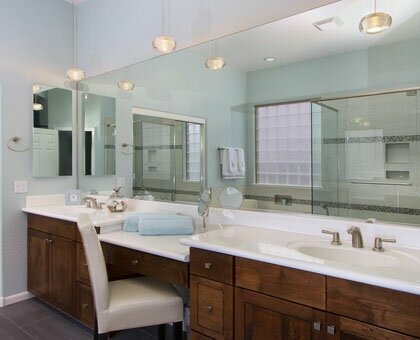 Since bathrooms are often small spaces, be sure to measure carefully before purchasing a chair. If you’re worried about space, look for one with a slender profile. In a living space, use a neutral chair (or a couple of chairs) if you want a look that’ll last a long time. Layer on bold pillows to liven it up and match your color scheme. Try flanking your coffee table with a pair of fun chairs upholstered in a bold pattern. If you have a small space, push two of these armless chairs together to form a versatile loveseat. Turn an empty corner into a cute reading nook or a small vignette with just a slipper chair, garden stool, and a floor lamp. 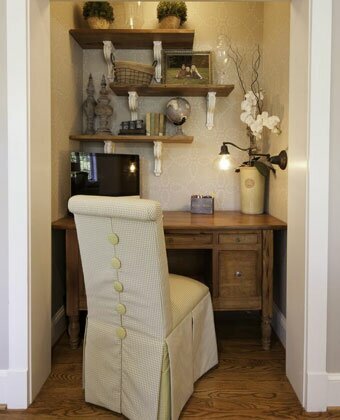 Use a slipper chair to create an elegant workspace. Slipper chairs are a great way to boost the style and comfort of any office or study set-up. From the kitchen desk to a spacious office, a slipper chair provides a streamlined yet sophisticated seating statement. Make sure to measure your desk before choosing a chair. If you want to push the chair all the way in, opt for a slimmer chair. Don’t be afraid of a bold pattern! The simple silhouette of a slipper chair balances out a busy, eye-catching design. 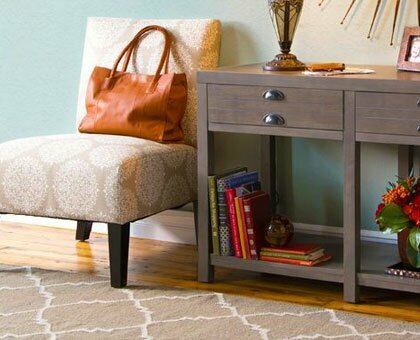 If you’ve got a long, hall-like entryway, a console table can often seem too small for the space. 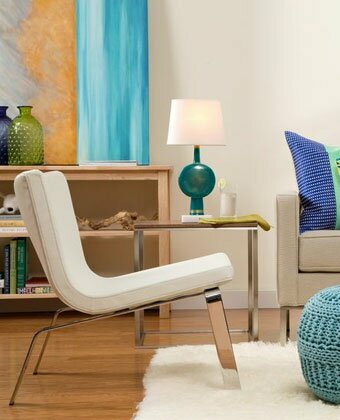 Make it feel cozy by matching an end table with a slipper chair. As an alternative for a bench in the entryway, pull up a pair of slipper chairs for a snug loveseat. It creates a comfy spot to slip on and off shoes and takes up more room. Enough interests to add this to your home? You can contact us for an appointment to discuss further on how this could be done.